Fri., April 17, 2015, 9:23 p.m.
Center Przemek Karnowski announced Friday that he will return to Gonzaga for his senior season. Karnowski averaged a career-high 10.9 points, 5.8 rebounds and 1 block per game while earning first-team All-WCC honors for the Zags, who finished 35-3. The 7-foot-1 native of Torun, Poland, made 62 percent from the field, seventh best in program history. He’s made 60 percent of his career shots, third in school history. 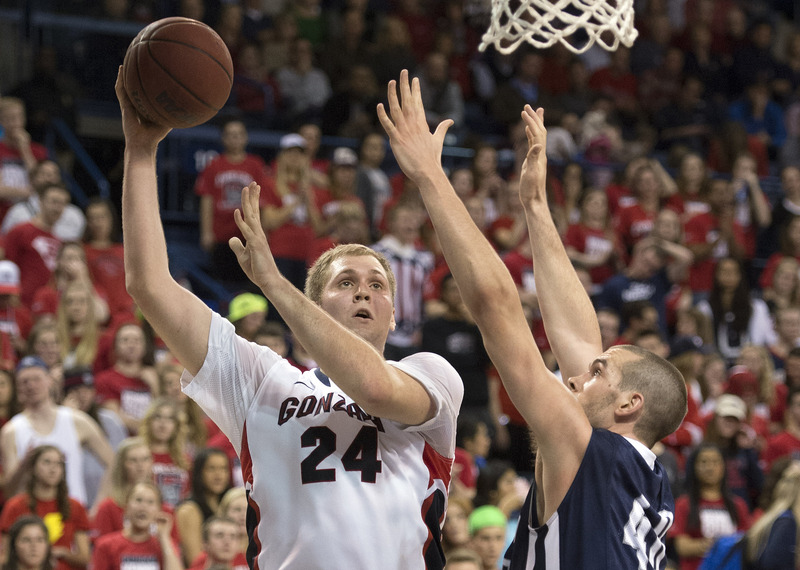 His 112 blocks ranks fifth on GU’s career list. Karnowski had 51 assists, nearly doubling his 27 from last year. He scored a career-high 24 points in a WCC tournament quarterfinal win over San Francisco. He had 18 points and nine rebounds in a Sweet 16 victory over UCLA. Karnowski, rising sophomore Domantas Sabonis and Kyle Wiltjer, who led the team in scoring at 16.8 points per game, formed one of the nation’s top frontcourts. Wiltjer hasn’t announced whether he will return for his senior season or declare for the NBA Draft. Published: April 17, 2015, 9:23 p.m.